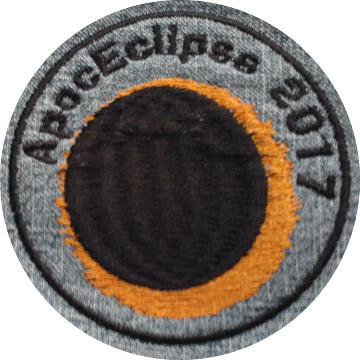 Did you see the 2017 eclipse? For some of you it was a cosmic, life changing experience. For many of us it it meant spending an extra day on the road, or stuck in traffic as millions of people took to their cars to watch the shadow. Add this denim patch to your collection of deMerrit badges. Note: The 1.5″ size does not have the words, only the emblem.